We are proud to announce that the Eye Centers of Northwest Ohio have been awarded the seal of approval for HIPPA. The HIPAA Seal of Compliance is the healthcare industry’s third-party HIPAA verification. There is no formal HIPAA compliance certification from the federal government or subsidiary regulatory agencies. That’s why healthcare professionals around the country rely on Compliancy Group’s HIPAA Seal of Compliance to demonstrate their compliance. 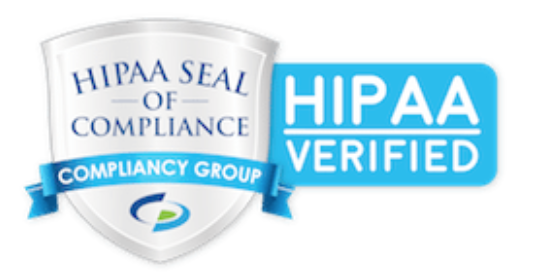 The HIPAA Seal of Compliance has become the healthcare industry standard for verification that the federally-mandated HIPAA standards regulated by the Department of Health and Human Services (HHS) Office for Civil Rights (OCR) are fully addressed and incorporated into an effective, organization-wide compliance program. If you want to find out more about HIPAA or The Eye Centers of Northwest Ohio, then get in touch with us.